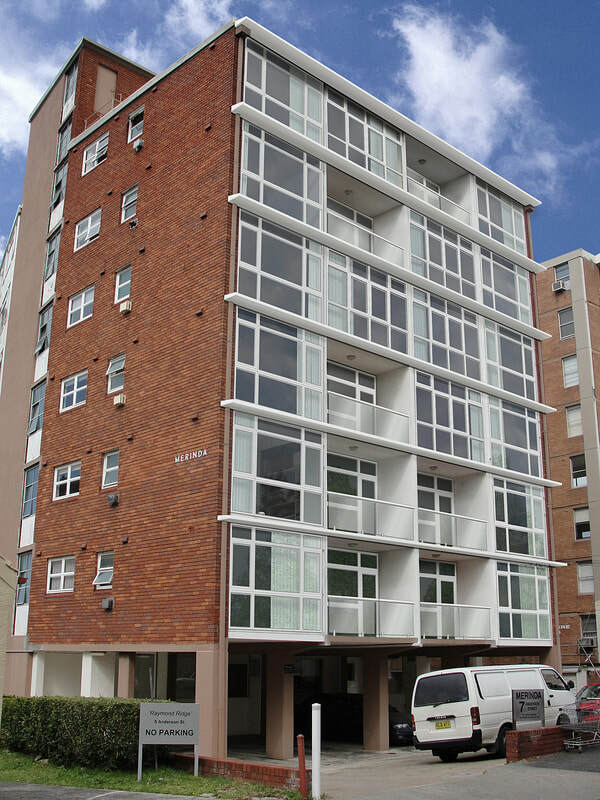 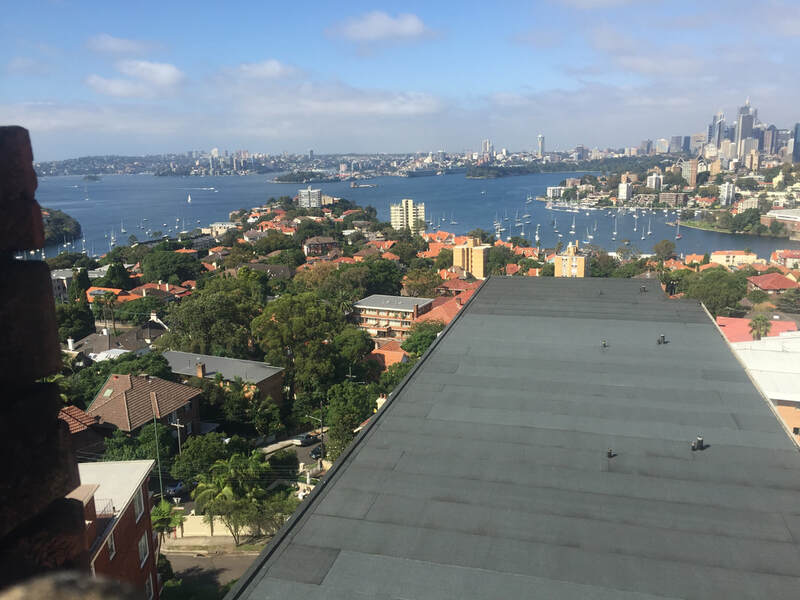 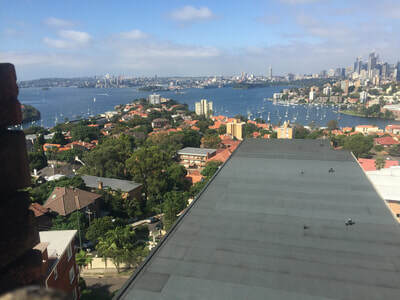 Recently, BellMont were called upon by Result Property Group to diagnose, specify, procure tenders and supervise roof waterproofing works at Anderson St, Neutral Bay. 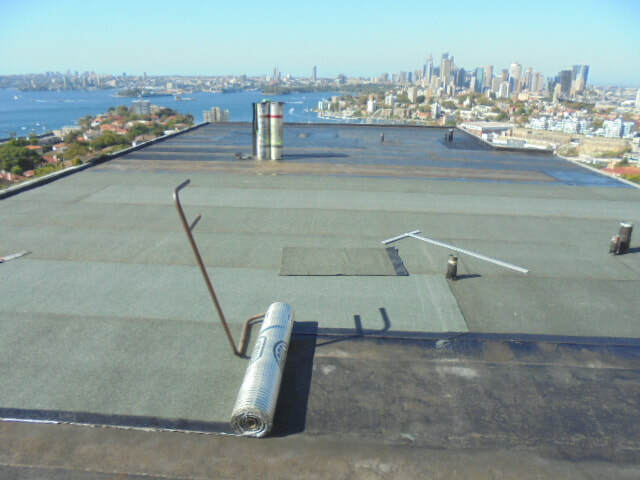 The area of concern was the dilapidated roof membrane, which was extremely vulnerable to water penetration. The original roof membrane had been covered over by another membrane some 15 years earlier and now, both membranes required being removed in order to allow for a new system specified by Bellmont to be installed. 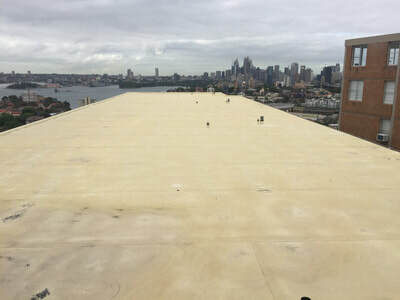 Bellmont specified a suitable warm weather, multi-layer bituminous membrane system suitable for the harsh environment and one that provided an extended design and service life. Cavity flashings of the roof top housing were also replaced to allow for a continuous membrane system to be created over the building. To kick off the process of installing a new membrane, the contractors removed the existing membranes and created falls in the substrate, followed by the application of a primer. 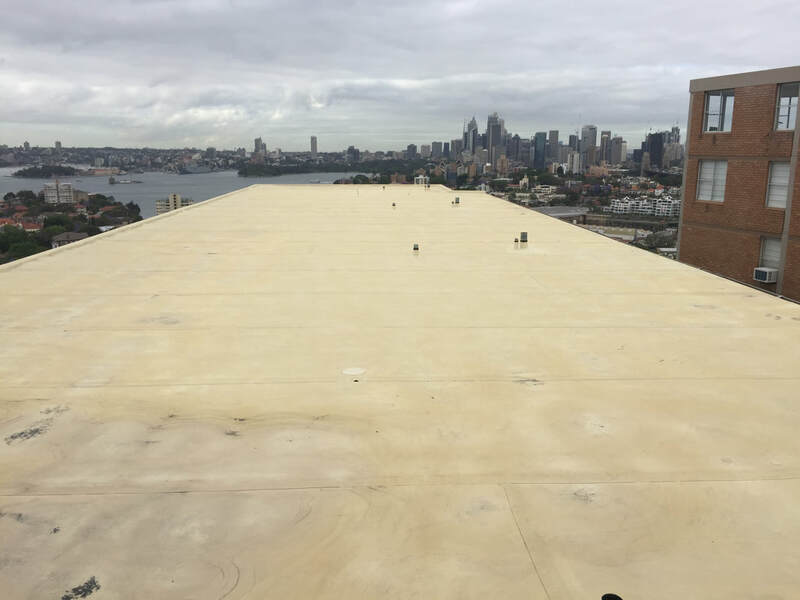 Once the area had been primed, the sheets were carefully unravelled and heat welded to create a multi-layer defence against water ingress. 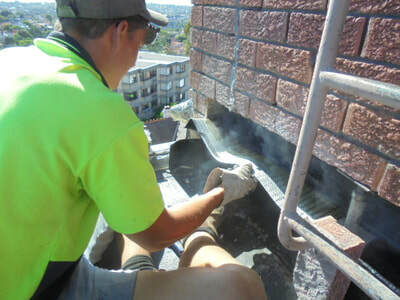 Cavity flashings around masonry walls were also installed to ensure that the driving rain was unable to enter the system through the cavity brick walls. 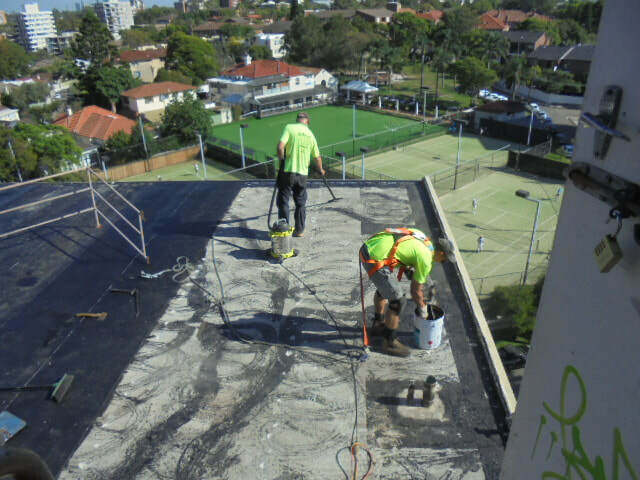 With these waterproofing solutions applied, the roof is now prepared to battle and conquer the wet seasons to come!